Features: A great NOT JUST FOR NAPKINS box with vibrant Pearl Denisse styling. 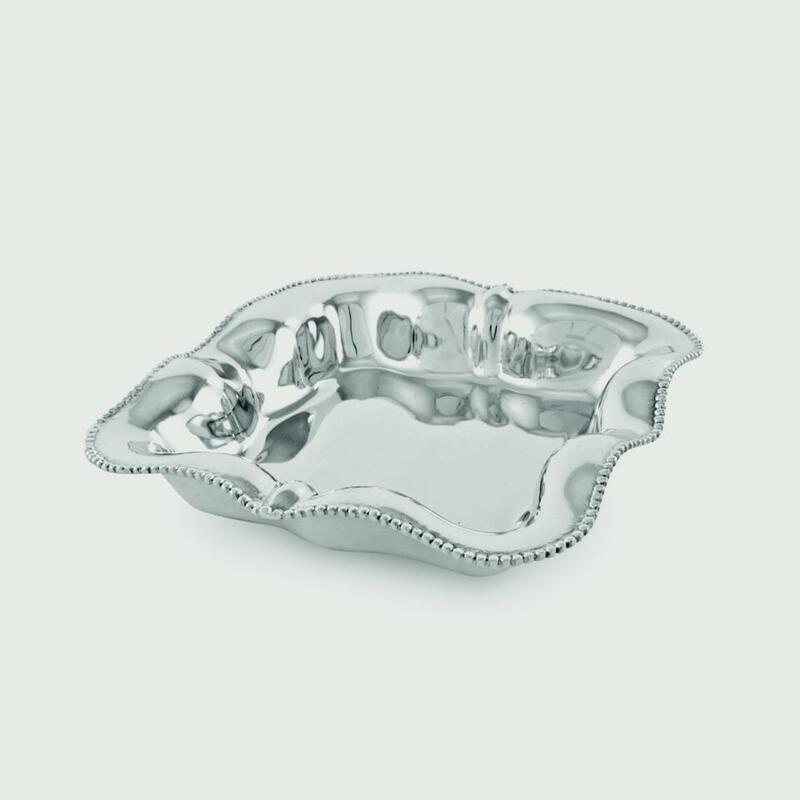 Use this NOT JUST FOR NAPKINS Pearl Denisse Napkin Box for serving dips, candies, nuts, or for holding your jewelry, hair clips, or perfume bottles ... or for napkins! Polished both inside and out for a beautifully finished look. An exclusive Beatriz Ball original design. Made of an FDA safe, easy-care, oven and freezer friendly aluminum alloy.